The ds-connex team is pleased to partner with LuMind RDS this year, and we had the pleasure of learning more about the organization and its events from Katie Coughlin, Runners’ Program Coordinator for LuMind RDS. The LuMind Research Down Syndrome Foundation, or LuMind RDS, is a national organization whose vision is to enable independence and enrich community engagement for all individuals with Down syndrome. 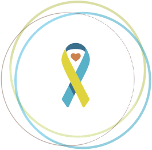 The foundation was established in 2004 by a group of families who wanted more researchers to be focused on learning more about Down syndrome and lead to interventions that addressed many of the unmet needs that remained, such as cognition and independence, a higher risk for early-onset Alzheimer’s, speech and communication, sleep challenges such as sleep apnea. Since then, with the help of more families and friends, the foundation has awarded over $17 million dollars in grants to fund innovative research at top academic institutions, established collaborations to support more than 15 clinical trials including more than 1300 participants, developed 2 Down syndrome specific assessment scales leading to more than $30 million in additional funding. LuMind RDS supports evidence-based, scientific research to prevent Alzheimer’s onset, improve cognition, develop gene therapies and advance understanding. Two of the major initiatives in 2018 include the Alzheimer’s clinical trial network and Down syndrome specific assessment scale and a promising new intervention for sleep apnea that impacts health, cognition and speech in over 50% of individuals with Down syndrome. LuMind RDS has defined a path to effectively move promising approaches for these unmet needs into clinical trials within the next five years and your miles help accelerate their progress. A small management team of five collaborate year-round with families and friends who volunteer to raise funds for research and help connect families of loved ones with Down syndrome to the research education and resources available at LuMindRDS.org, live monthly webinars, and at Ds conferences. The LuMind RDS runners’ program includes a community of champions for research who mobilize and inspire others to really make a difference in the Down syndrome community. In 2011, LuMind RDS launched the Any Race Any Place program, which allows runners to run locally with training and fundraising support from LuMind RDS and raise money for Down syndrome research. A runner may choose any local 5K, 10K, or marathon and LuMind RDS will assist them in obtaining an entry to the race, and also provide training and social media support. If the runner meets their fundraising goal for the race, then LuMind RDS will cover the registration fees. There are no other requirements, as LuMind RDS wants to make the process as easy and fun as possible. Runners receive fundraising and training tips as well as fun swag to celebrate their fundraising accomplishments along their journey. The funds raised by the runners of all ages and ability go directly to LuMind RDS to fund their research grants. Katie shared a story about an 11-year-old runner who has a sister with Down syndrome; he has run a local 10K twice and with assistance from LuMind RDS, he raised more than $600 each time! The Runners’ Program allows participants to be flexible in which races they want to run, while at the same time allowing them to give back to the Down syndrome community and make it a special experience. While they have been supporting runners in all level of running events nationwide since 2011, they are branching out this year to host their own events. The Miles for Breakthroughs 5K will be held in Dallas in July; this is the first time LuMind RDS has coordinated their own race. They have designated the course and secured sponsors, and they are receiving great support from the local Down syndrome groups. In September, LuMind RDS will co-host the Rockin’ Moms 5K, in conjunction with the Down Syndrome Diagnosis Network. This event will take place in Phoenix, at night, and will include glow sticks and music. Participants in both of these events can either run or walk, as the courses are closed and well contained, and there will not be a time limit for completion. Registration for these events is now open, and be sure to check out the amazing incentives for participants when you’re signing up on their event pages. Katie said that the organization wants people to really understand where the money goes from these events, and how those funds are distributed. You can keep up with LuMind RDS on their Facebook, Twitter, and Instagram. 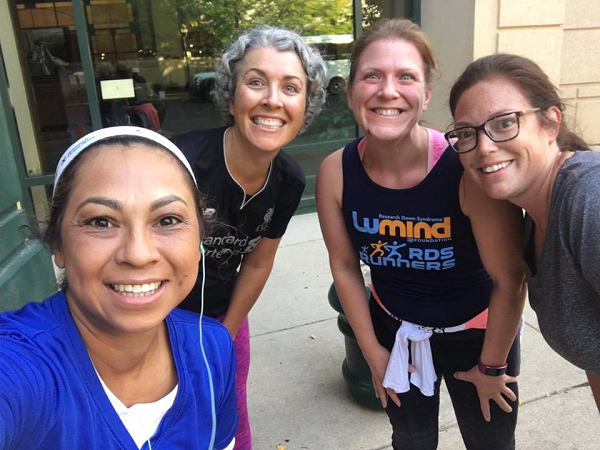 To connect with Katie about partnering with LuMind RDS, runners should email the program at runfords@lumind.org.